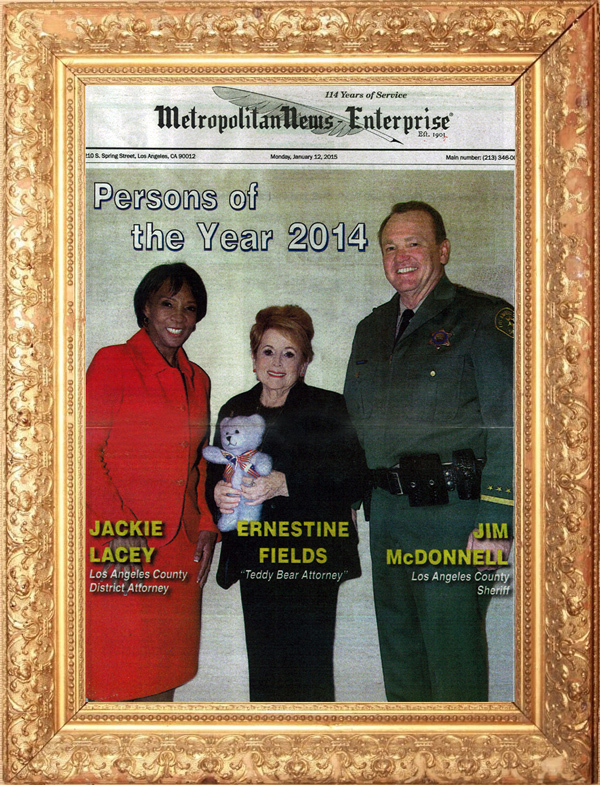 It is with great merit that we herald the achievements of our very own, Ernestine Fields, known as the “Teddy Bear Attorney.” Through her program, Comfort for Court Kids, every child at the Children’s Courthouse receives a teddy bear. “The program was brilliantly conceived and is being caringly administered by a loving and generous woman, Ernestine Fields,” Grace commented. A graduate of the San Fernando Valley College of Law, Fields has been an attorney since 1988. She has served on boards of various organizations, including the State Bar’s Judicial Nominees Evaluation (JNE) Commission. Please click on the image below to view and or download the full PDF story!